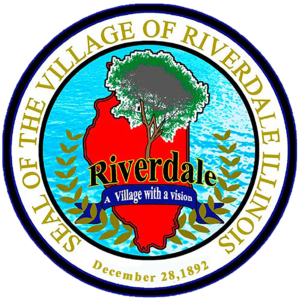 All applicants for a business license or renewal in the Village of Riverdale shall be required to comply with current zoning, building, electrical, plumbing, fire and health codes. A PERMIT IS REQUIRED for any construction and/or building renovation work. ALL PERMITS MUST BE ISSUED BEFORE THE START OF ANY WORK. Permit applications are available at Village Hall, 157 W. 144th Street. PERSONS WORKING WITHOUT THE APPROPRIATE PERMITS WILL BE SUBJECT TO DOUBLE PERMIT FEES. I understand that these codes are to be followed for all work done under a current Village of Riverdale Permit. I further understand that no business shall be conducted until a business license is issued and compliance with all applicable Village regulations is met. I UNDERSTAND THE ISSUANCE OF THIS LICENSE IS CONDITIONED UPON COMPLIANCE WITH ALL VILLAGE ORDINANCES/INSPECTIONS. NO BUSINESS MAY OPEN UNTIL FEES ARE PAID AND LICENSE IS ISSUED.